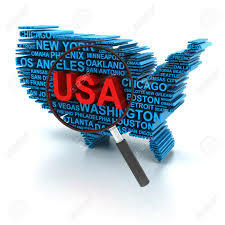 The USA has the highest number of searchers in the world and a robust infrastructure to support them, yet many international searchers choose to return to their own country to find a business (See Blog Post – Searching Internationally). For this Blog Post I reached out to a dozen searchers with international backgrounds who launched their searches in the USA while overcoming a number of obstacles along the way. Any searcher can benefit from the observations and experiences these international searchers have reported. What was unique about your search? As of early 2018, there is an opportunity for searchers to obtain an H1B visa who qualify for the International Entrepreneur Rule, colloquially called a “startup visa”, generally sponsored by non-profit Universities. (See article on State Sponsored Visas). Another searcher/CEO says, “It is an added risk to be an international searcher in the US so have a plan. It is important to build a narrative around the United States and why this is where you want to be long-term.” Flo Servan cautions about searching with a partner, “I have learned so much about myself while searching that if I was the perfect partner for someone at the beginning, I probably wouldn’t have been so at the end of my search.” While another says “I could not have been successful at this without my US based partner, just be sure it works for you”. International searchers who focus on the USA, must tackle additional challenges to be successful. Preparation, persistence and patience are the watchwords for them. As all the searchers above have related, turning their “deficiencies” into “features” pays off with sellers and their other resources during their search. « Choosing a search partner – or not!